I have spent some time looking into the history of the Jamestown Condos on the multiple listing service. The MLS or multiple listing service is the system us Realtors in Utah County use to post the active, under contract and sold condos in Provo Utah. The furthest I could go back in the system was July of 1996. This condo sold for $106,400. It appears that the highest priced condo prior to 2000 sold in 02/1999 for $136,900. The prices keep going up between 2000-2005. 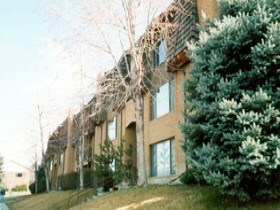 The Jamestown Condos in Provo Utah prices fluctuated between $156,000 to $179,000 during this period. From 2006 to 2011 the prices seemed more stable. The prices ranged between $179,900 to $190,000. Buyers tend to pay more for the upstairs units. If you would like to know more history on the Jamestown Condos in Provo Utah contact Paul Teasdale. Paul’s contact information is at the bottom of this page. 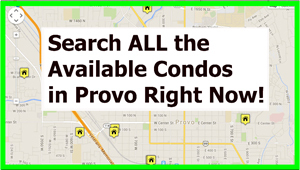 Are You Looking to Buy a Jamestown Condo in Provo Utah? If you are looking to buy a Jamestown Condo in Provo Utah contact Paul Teasdale of Team Teasdale Realty. Paul has been selling condos in Provo since 1995. Paul will check the MLS for any available Jamestown Condos currently for sale. If there are no Jamestown Condos for sale he is suggest some other similar condos in the area. Are You Looking to Sell a Jamestown Condo in Provo Utah? If you are looking to sell a Jamestown Condo contact Paul Teasdale. Paul will gladly visit your condo and give you some suggestions regarding a listing price. Paul is very experienced in selling condos in Provo.